The Western Electric lightweight SD Ocean Cable shown here was made at the company's Baltimore Works, and used for the Florida - Kingston, Jamaica - Fort Sherman, Panama cables of 1963. This is a bank of echo suppressors at the I.T.T.-C.A.C.&R. Coaxial Terminal building in Balboa. 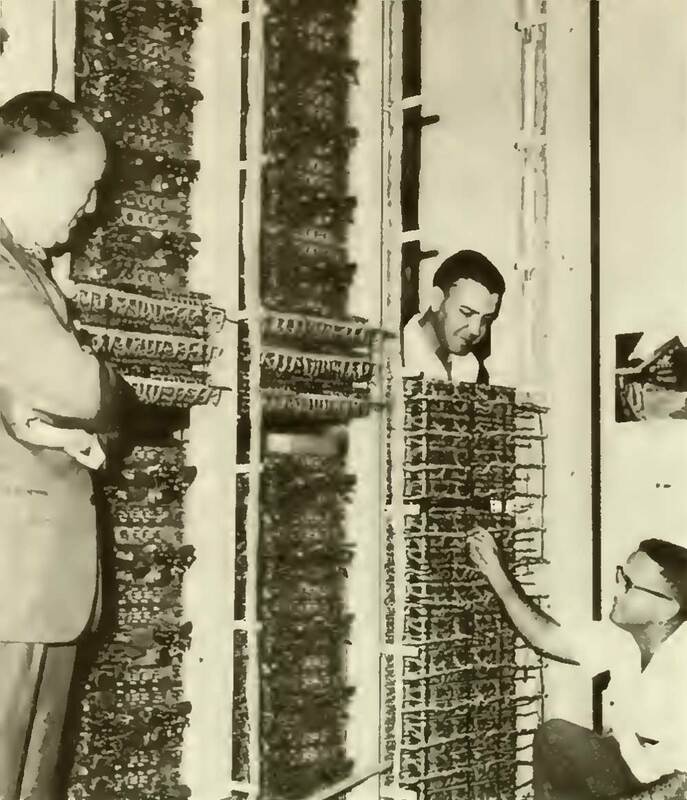 Vice President and General Manager Harry J. Sinnott, left, watches Engineering Supervisors Rodolfo E. Salas and Felix G. Martinez, right, check wires to assure that telephone users in Panama and the Zone have as clear connections to the United States and Europe as to a neighbor next door. The submarine cable completed in April was laid by A.T. & T. from Florida City, Fla., to Kingston, Jamaica, and the section from there to Fort Sherman on the Atlantic side is jointly owned by A.T. & T. and I.T.T. This was linked in September to the trans-Isthmian coaxial cable of I.T.T. - Central America Cables & Radio, which was laid partially in Panama Canal Company ducts and with the cooperation of the Panama Railroad which provided equipment and re-scheduled its freight trains so as not to interfere with installation. In October the system was extended to the offices of Tropical Radio in Panama City. Connecting with this network is the different but equally modern micro- wave system of Comunicaciones, S.A., to the interior of Panama. Thus, the Republic of Panama becomes the first South or Central American country to be joined by direct submarine telephone cable to the United States and Europe. From here, other lines, already in the planning stage, will reach out into the Pacific and the Caribbean. 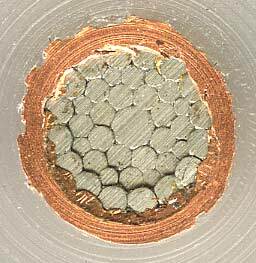 This lightweight undersea cable design was developed by the British Post Office in 1951. Instead of using a central copper conductor and external armouring, as was the standard cable design from 1851 onwards, the lightweight cable had a stranded steel core for mechanical strength, surrounded by a copper conductor layer. The outer cable sheath could then be a plastic jacket instead of the traditional heavy steel armouring wires. Two versions of this design are known; the Western Electric cable as shown above had a copper return conductor, while cable made by Submarine Cables Limited (SCL, later Standard Telephones and Cables) in England used an aluminium return. 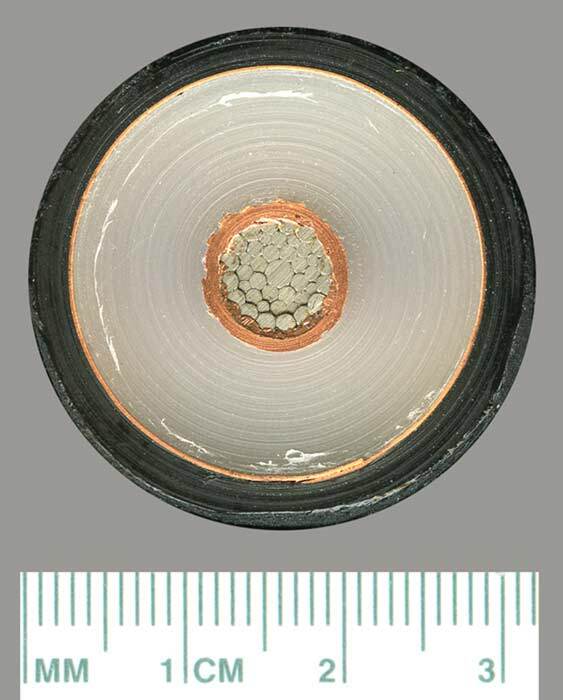 The STC lightweight cable was first used in service on the 1961 CANTAT A and B (CANTAT 1) telephone cable between Britain and Canada.